Some free time today and decide to go ahead install additional fish tank to start off CRAFTS and test it. 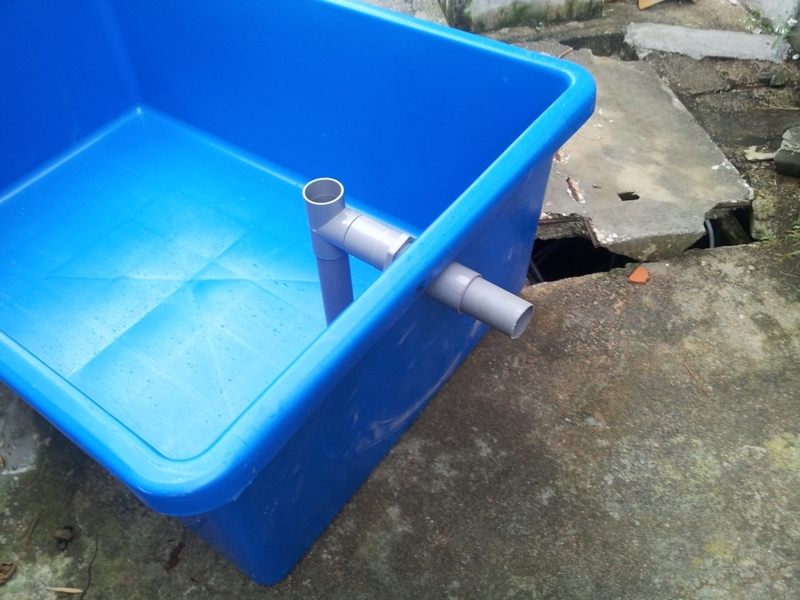 This is the first time I done this and more of a trial run and may need adjustment to its installation. Few installation previously on multiple tank I use "Water Bridge" however using "bridge" will cause water in all tank to follow "up and down" of main tank. 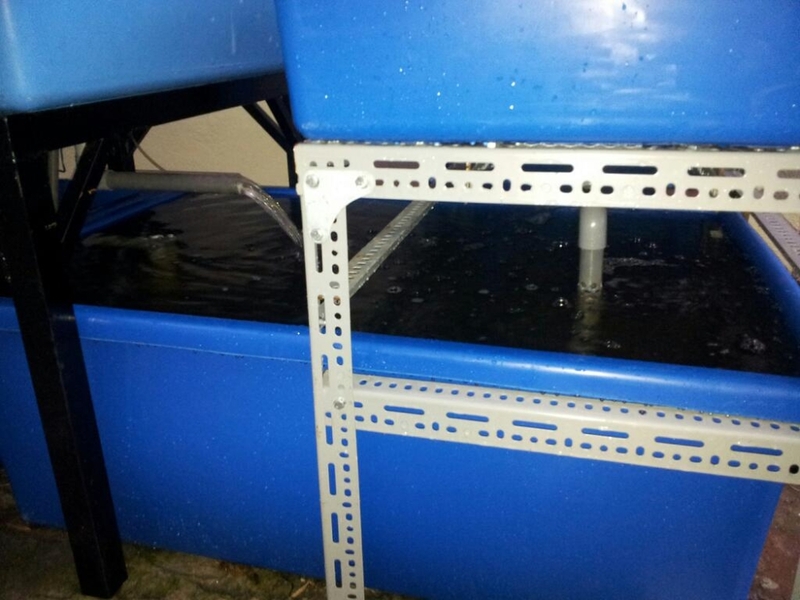 This time I want a constant water level in tank just like CHOPS, but done differently. Right most growbed is the one I need to remove and decide to pull out all plants from this bed. 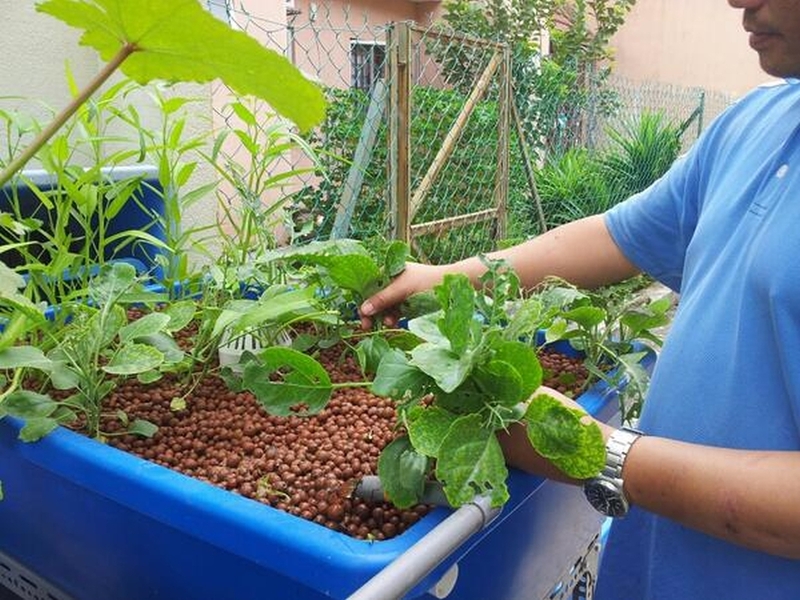 Kailan, Kankong and Strawberry plant out for safe keep. 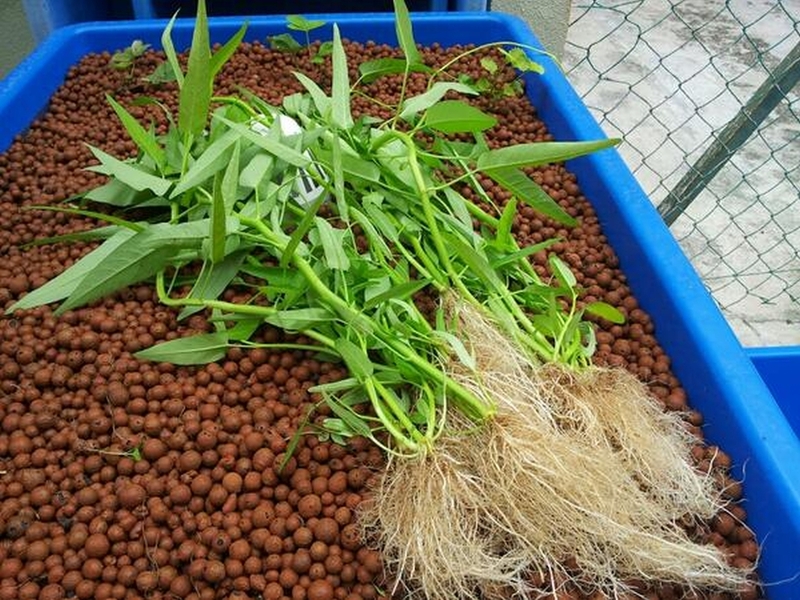 Next hydroton need to be transferred to a temporary holding tank. 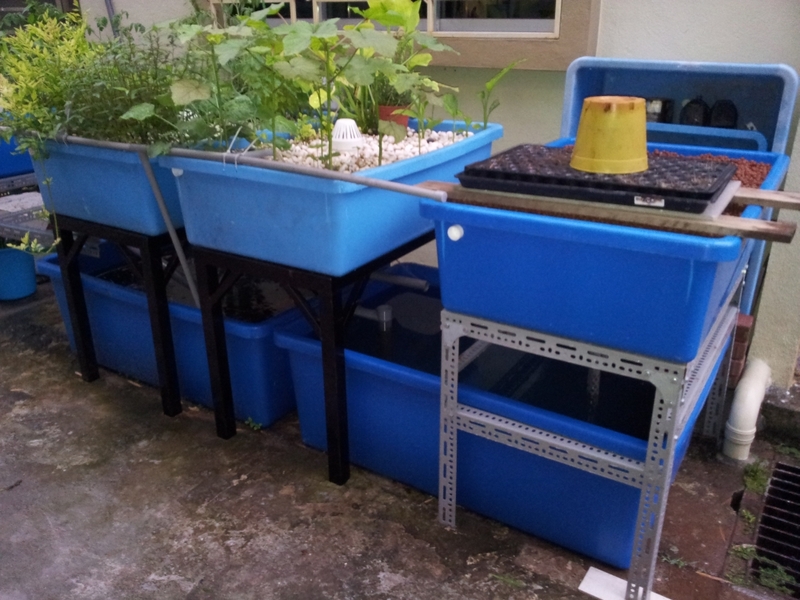 Trying out fish tank and thank god existing rack don't need any alteration. It fit, slight shoe horn required but it fit. 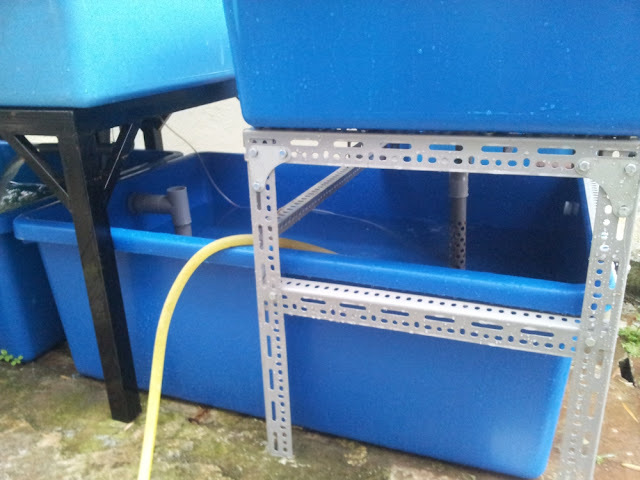 Roughly this is how its should be, no increase to area but increase to fish tank water volume. CRAFTS is modular and expand as you goes and maintain as compact as possible. On Return tank I need to make an overflow, this I am using 40 mm tank bulkhead adapter. I hope its sufficient, otherwise I will need to go one step up to 50 mm. 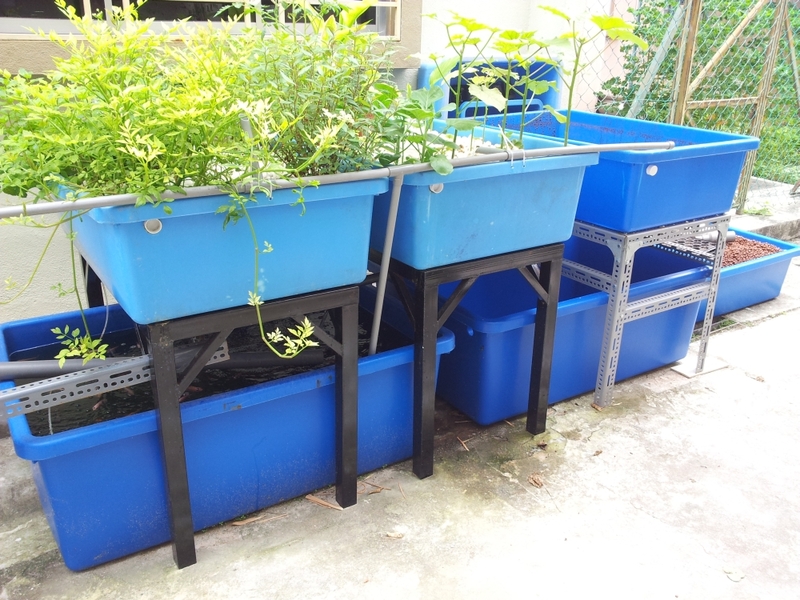 It's for water overflowing from return tank to feeder tank, taking into consideration at maximum flow rate from at least 2 siphon doing simultaneous flush. 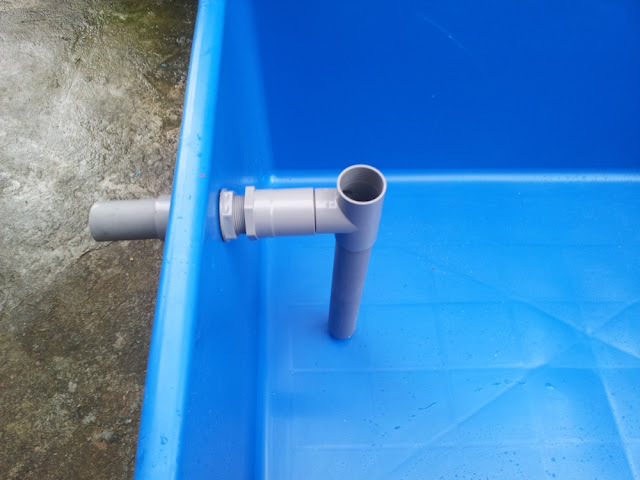 Existing tank turning it into Feeder need to make a hole, this is 54 mm hole to accommodate 40 mm PVC overflow pipe. That when all coupled together. Return tank has 40 mm Tank bulkhead coupling, Feeder tank has a hole to accommodate 40 mm pipe, this to ensure some play in the coupling. 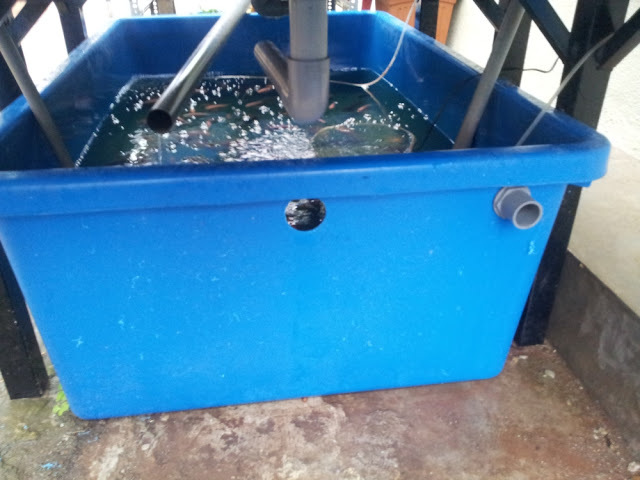 The 40 mm tank adapter above and filling up the Return tank to full. 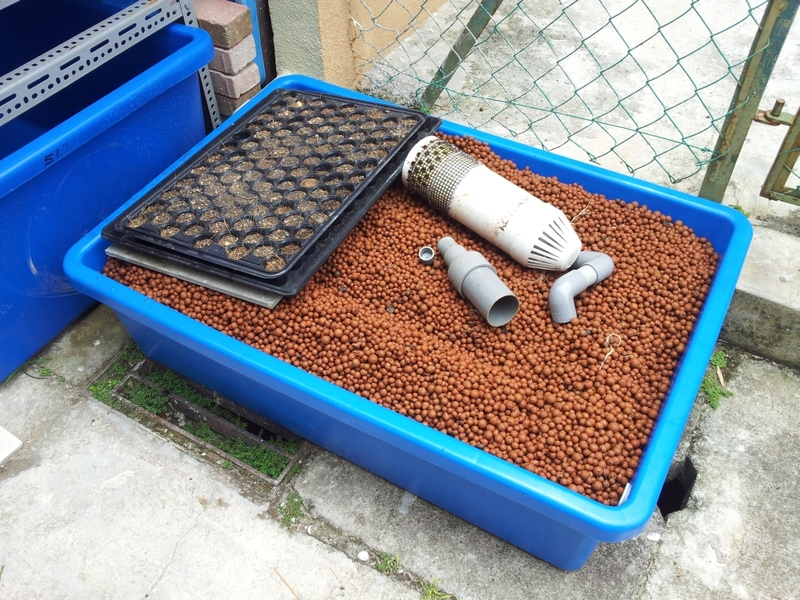 Below, fulled Return tank with one growbed flushing and overflowing into Feeder Tank. 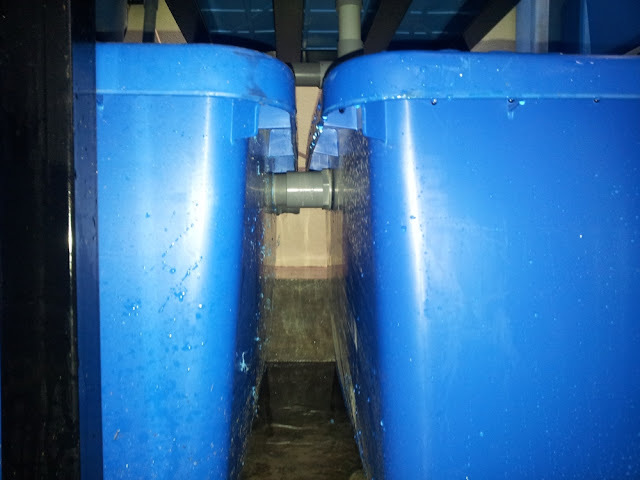 Water in Return tank is always at this level, slight changes due it may not able to drain that fast if two siphon works simultaneously. Below the completed CRAFTS components with Return Tank and two growbed draining into it. 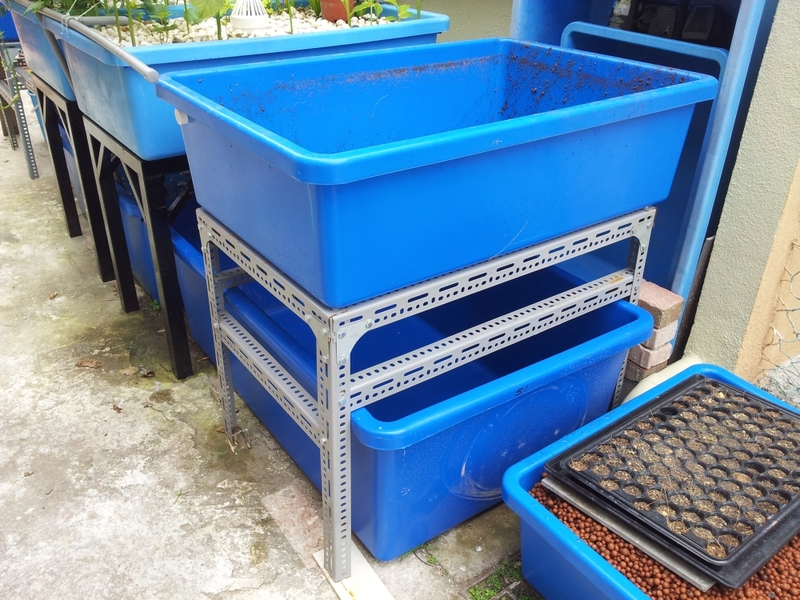 Two growbed simultaneous flush test, this need to not spill anything except overflowing to Feeder Tank. 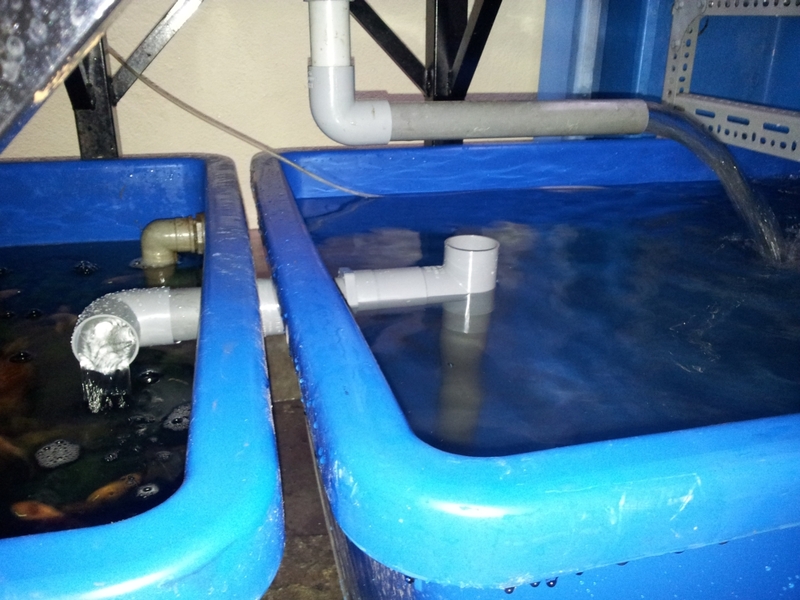 Water level very close to rim, I need to monitor and run this Return tank without any fish for few days. 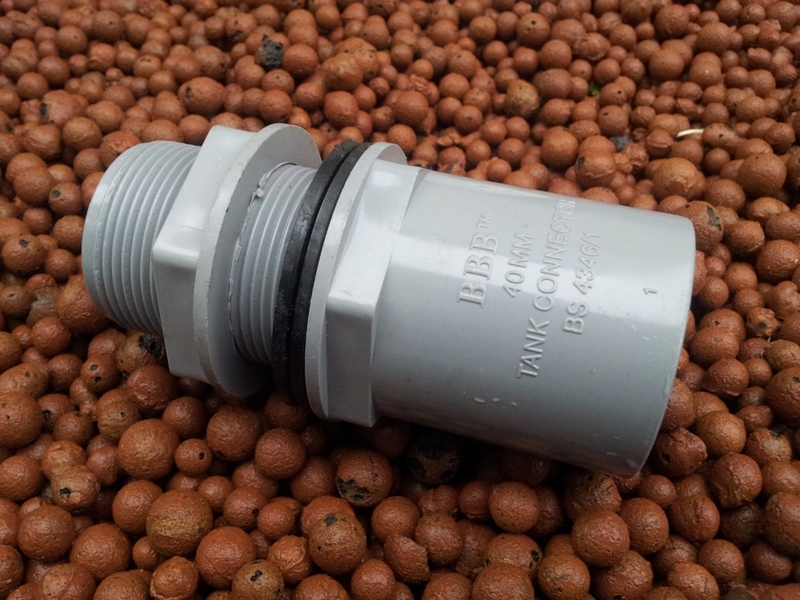 If any adjustment needed to be done is that 40 mm coupling is the one to be redo. Completed above, work required not that much since from start its being planned to accommodate so as mentioned a modular concept to Aquaponics. This increase fish tank volume by 100 gallon without increase to system foot print. 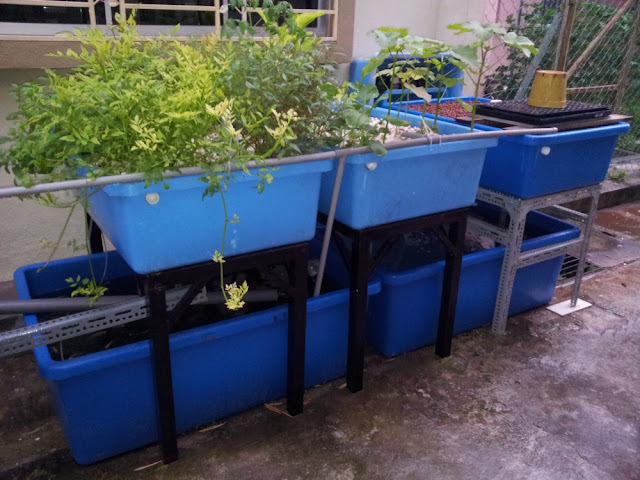 There is provision for another Fish tank on left and a growbed but still maintain same foot print. I'll be monitoring this closely and make necessary changes to ensure its can be made by others without any problem.